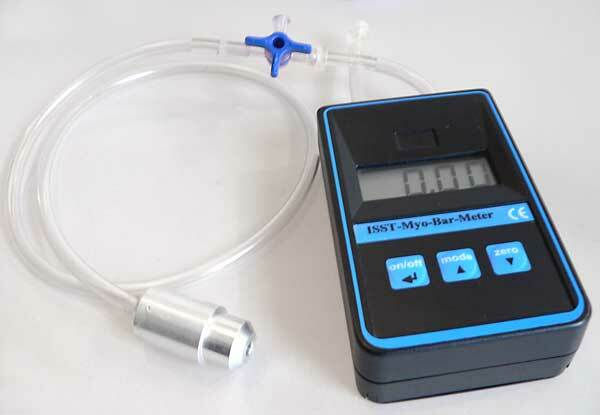 The ISST Myo-Bar Meter is capable of measuring lip strength and the air permeability of the nose (nose flow). The measurements are made in conjunction with the Face Former. The tension of the lips is a part of muscle function. Eight muscle pairs are responsible for mouth closure and lip movement. The muscles function synchronistically and actively perform a complex pattern of movement. Therefore, measurement of lip strength provides information about the development of the ability to close one’s mouth and the about the extent of activity and function of the muscle groups. 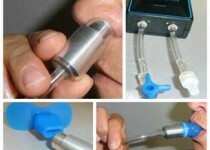 Nose flow measurement records the air flow through the nose. The technique makes it possible in a simple way to measure the flow of respiration before (initial diagnostic), during (course diagnostic) and after (final diagnostic) therapy. Positive changes observed through the Face Form therapy primarily indicate an optimal tension of the nasal mucosa and an achieved cross-section reduction in the nasal muscles. 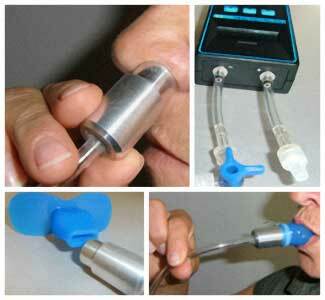 The patient perceives this effect by experiencing improved breathing through the nose.